Ebbe Linden has posted in the SL Forum. The post is titled Celebrating 14 Years of SL with Investments in Its Future. In it, he says they have budgeted US$ Millions for the coming year, which is awesome. 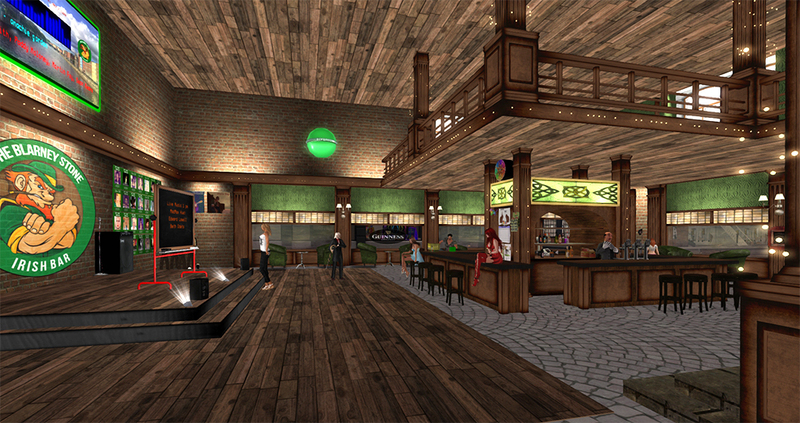 He tells us about some of the coming changes to Second Life. Some we know about, others are new news. Posted in General News, Second Life, SL Speculation, Virtual World News. Tagged Ebbe Altberg, News Articles on SL. I suspect we have all heard about simulator sickness, akin to motion sickness, caused by latency/lag in providing images to VR headsets. Now NVIDIA is showing an experimental zero latency display. The site Road to VR has the story in an article: NVIDIA Demonstrates Experimental “Zero Latency” Display Running at 1,700Hz. Posted in General Computer Stuff, Hardware, Virtual World News. Tagged VR. What I find today is that if you order now, you MAY get your Rift by June… That is six months. If you have already ordered, you should see yours get shipped to you in the March 28th shipment, 3 months. No one is saying how many were ordered. Lucky Palmer only said they sold in 10 minutes what he thought they would sell in hours… not very definitive. But, it does indicates sales were several orders of magnitude larger than expected. We are told the online order system went down, it overloaded. At this point I am waiting for reviews of the Oculus Rift that compare its performance to other HMD’s. Is it really going to be worth $400 more than the competition’s HDM’s? I’m almost due for a new phone. So, I may trade my S5 for a newer S7… and start with Cardboard. Posted in Hardware, Interesting, Virtual World News. Tagged Oculus, VR. Posted in Game Development, General Computer Stuff, Interesting, Interview, Statistics, Virtual World News. Tagged Philip Rosedale. Who is Winning the Virtual Reality Race? Posted in Game Development, General Computer Stuff, General News, Next Generation Plateform, SL Speculation, Virtual World News.